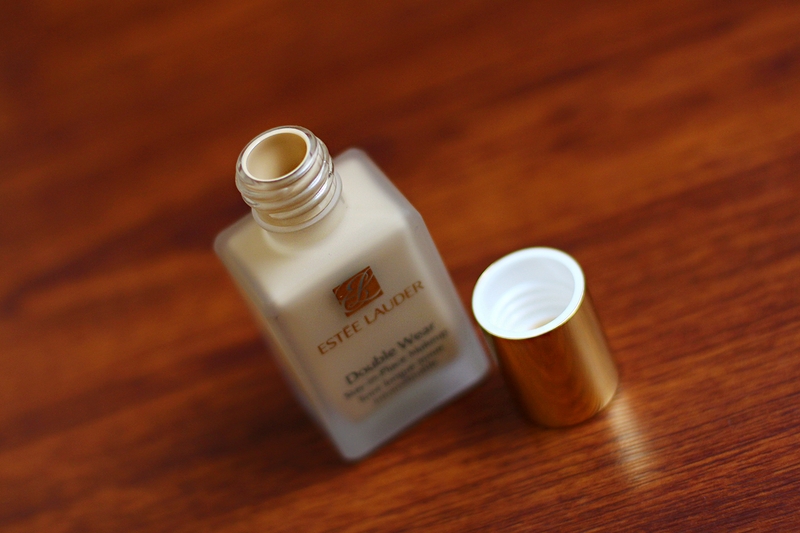 For the past week I've been testing out the Estée Lauder Double Wear Stay-in-Place Liquid Foundation. This particular formula is light weight and gives amazing coverage with just a teeny amount. The foundation doesn't look caked on, or have any build-up around the nose. I love using a wet beauty sponge to achieve medium coverage, but on those nights I want extra full coverage I use a foundation brush. When I first went to get my color tested by the Estée Lauder beauty consultant, she removed a patch of my current foundation from the side of my face. Then matched me with three different shades using the iMatch system, we picked out the color 1W1 Bone. This is one of the lightest shades in the line and paired identical to my skin tone. One of the tips I always recommend is applying a light moisturizer as well as a primer before applying foundation. My skin is extremely sensitive to many products, so I was extremely happy to not have any issues with breaking out after using this foundation. This product is of course fragrance-free as well as non-acnegenic. So if you have a scent allergy like me, this is a foundation you need to try out! The only issue I have with the Double Wear Foundation is that there is no pump. Since I only need a tiny amount to cover my entire face, its a bit hard to get out only a little of the needed product. Especially with the formula being a bit viscous, there are times when too much can come out. One of the questions many people wonder about is, "does the foundation transfer?" I patted my face with my shirt and nothing transferred but when I swiped, it would transfer (what foundation wouldn't though?). Once the foundation sets it doesn't really budge, but I always apply a setting powder on top just in case. This photo is without any face makeup on. I already have a bit of mascara and eyeliner on my eyes, but my face is absolutely bare (no moisturizer, primer either). As you can see, I have uneven skin tone, redness around my nose, and discoloration around my eyes. Then... tadah! My skin is even and all the redness is gone. 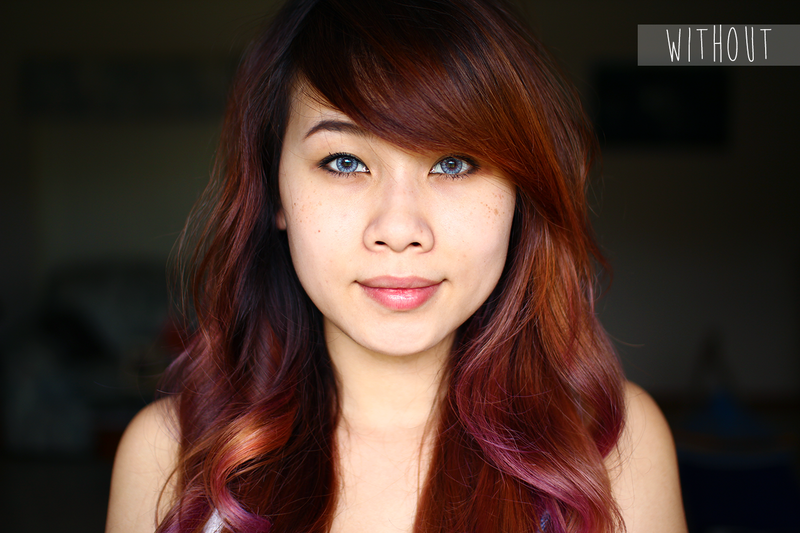 This is with one layer of foundation and no concealer. I did apply moisturizer and a regular primer though. 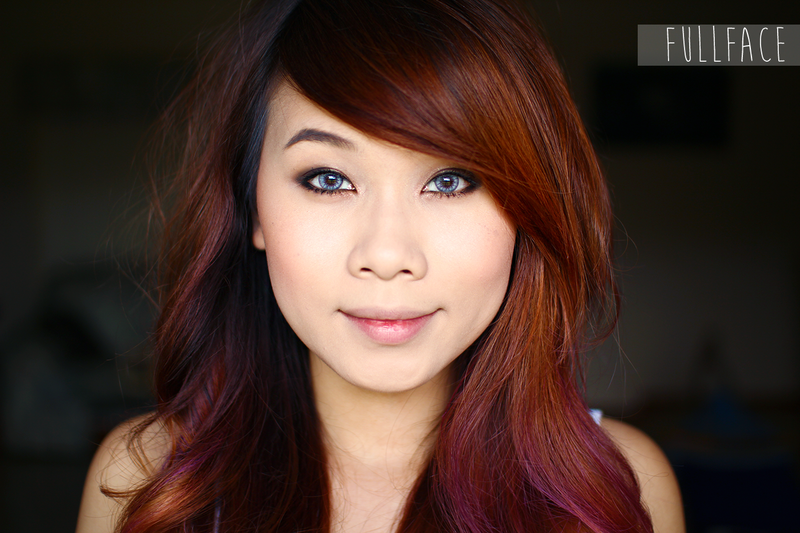 I would say this is about medium coverage but it is able to be build-able to full coverage. Personally I would only do full coverage during special events like a night out or a Birthday celebration where lots of photos will be taken. Last image is with all my makeup on. I didn't even need to apply concealer because the foundation covered so well. Even by the end of the night my foundation still didn't budge and gave the same flawless coverage like when I first applied it. My blush and highlight was still visible on my cheeks and the areas around my nose and mouth were all still covered. When I'm wearing this foundation it makes me feel secure enough to not have to check the mirror every few hours to see if my skin has red spots showing through.Even my holy grail foundation starts to become blotchy after the 6 hour mark, so I was definitely impressed with the Double Wear product. 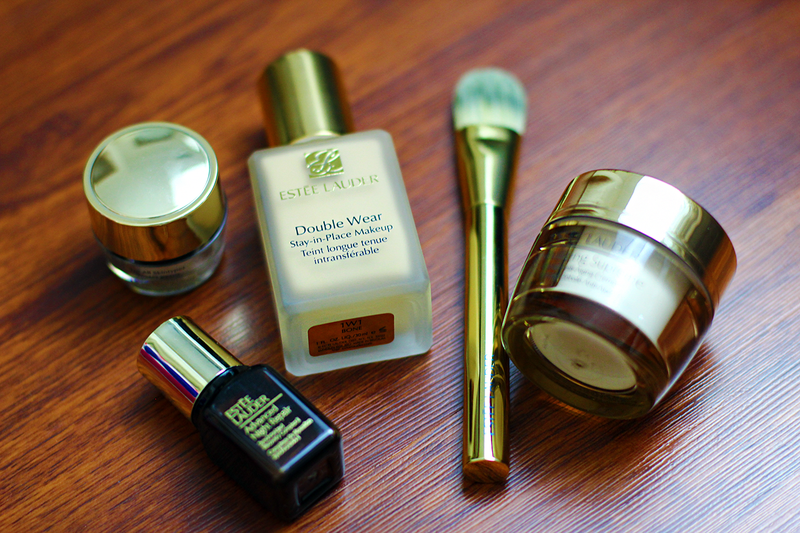 Estée Lauder's beautiful signature gold and deep blue packaging stays elegant through out all these years. When I purchased the Double Wear Foundation, I was gifted an adorable goody bag filled with creams and other various Estée Lauder products. The eye creams and skin items will be given to my mom, since she absolutely loves the skin care line. The Double Wear Stay-in-Place Liquid Foundation has 30 different shades all with cool, warm, or neutral undertones that are perfect for everyone. 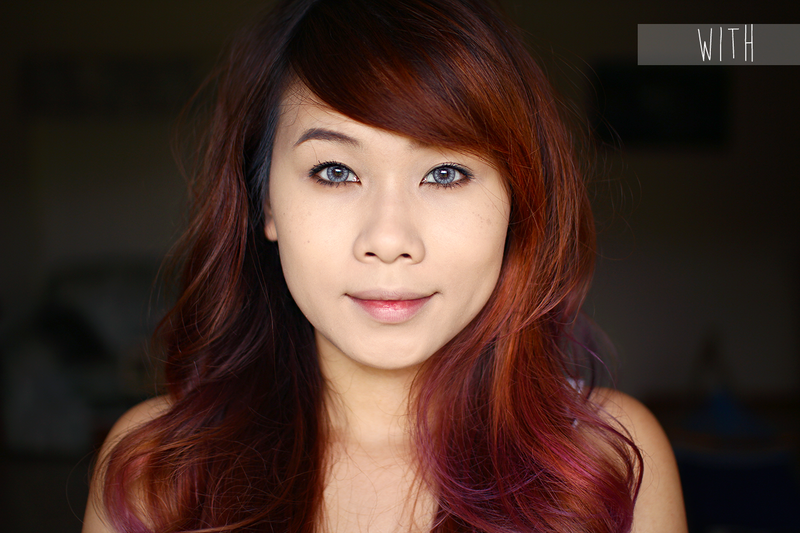 I can definitely understand how there are tons of people raving about this foundation now. 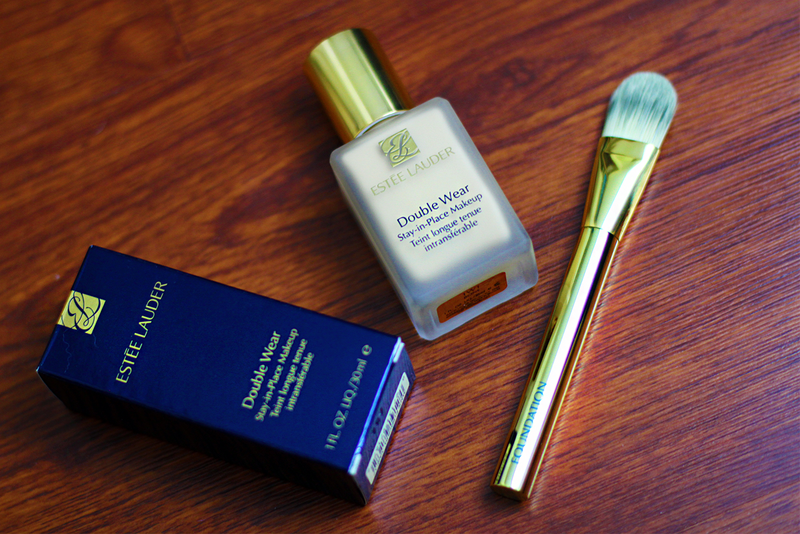 Huge thanks to Estée Lauder and Condé Nast for the complementary foundation to test out and review! This foundation will definitely be appearing on my next week's makeup tutorial!